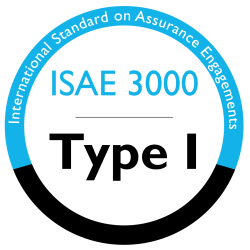 ISAE 3000 is the standard for assurance engagements other than audits or reviews of historical financial information and is issued by the International Auditing & Assurance Standards Board (IAASB) of the International Federation of Accountants (IFAC). The standard contains requirements specific to conducting those type of engagement, and entails, amongst others, guidelines on how to conduct these type of audits, the ethical behavior and quality management by the auditors. External auditors performed an assurance engagement based on ISAE3000 (Richtlijn 3000). The assurance report (type I) is available for clients who have used Carerix’s services, and their auditors, who have a sufficient understanding to consider it, along with other information. For more information, please contact compliance@carerix.com. Next to the ISAE3000 engagement Carerix has selected it’s datacenters for the performance in reliability and security. This means all datacenters are ISO27001:2013 certified and perform ISAE3000 or SOC1 engagements.